I’m over at Renata Barcelos’ blog talking about writing and Lizzy and all my strange little eccentricities and the best reader experience I’ve ever had. I had a woman come up to me once after a poetry reading and tell me that a specific poem about my mother’s battle with breast cancer is exactly the way she thought/felt. I was so flattered to know that my words had that effect on her. The universe got a little smaller that day, in a good way. 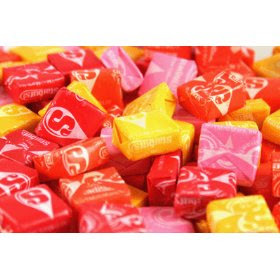 As for Renata – here are my Starbursts of Thanks. And you know I don’t kid about Starbursts.